$110.00 Out of stock. Email me when new stock arrives. Don't ask us why, but turning silks into eggs is a classic stage magic effect, and a beautiful one at that. When you crack the egg open, audiences gasp because they always think the egg is fake...when you show it's real...it's a great moment. A silk instantly changes into an egg right before the audience's eyes. This new version allows for the silk to be handled free and independent of the performer's hands! 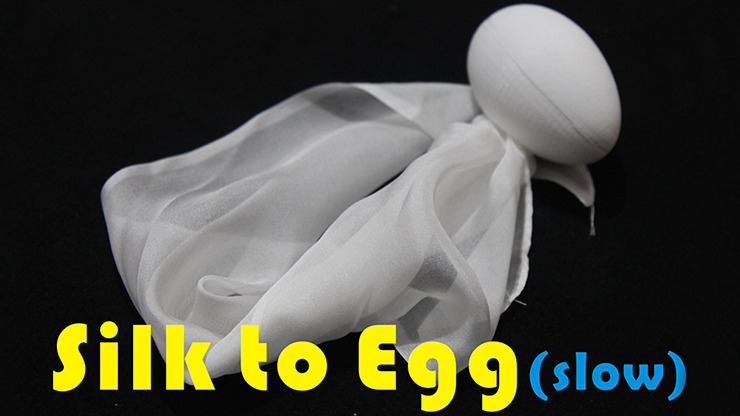 Place the silk on a table or over your shoulder, then watch as it instantly changes into an egg! Comes complete with trick egg, 1 white silk, and online instructions.